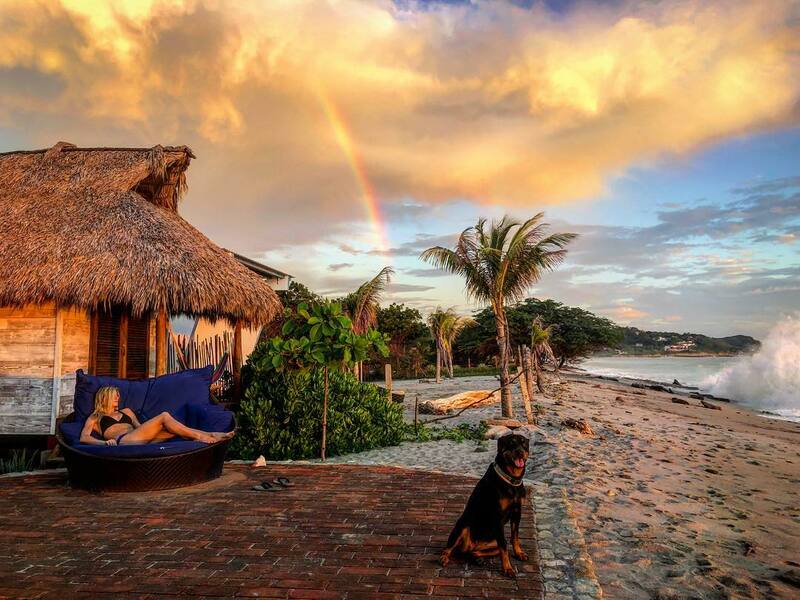 Chantelle and I are really excited to announce that we will now be managing, the beautiful Suyo Hotel in Popoyo, Nicaragua! This is another beautiful beach location, in a really special part of this country, and somewhere YOU really should experience. 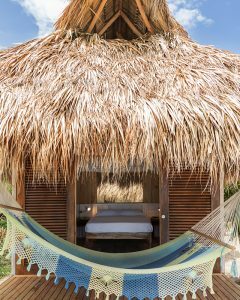 The 6 cabanas are one of a kind, right on the sand and have a very unique feel. Just look at the photos. For more of the story of why the “Minimalist Vagabonds” might do this, read on. 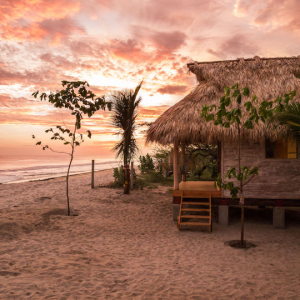 Or, if you just want a great escape, right on the beach, in this beautiful country, click this link to book, or for more info on Suyo! For more on change, from our perspective, read on…. Part of the whole idea of our Minimalist Vagabond draw was to get out of the “norm”, minimize the clutter (time and stuff) in our life to make space. Space to ALLOW things to come into our lives that resonate, inspire, and help us grow in ways that we may not have foreseen. Of course, you might look at us and say, “well, you’re not much of vagabonds right now, so what the heck are you talking about?”………and in some ways, we would agree with this! Ironically, this is all part of our plan though, and it’s also something we feel strongly that everyone should experience in life, at least once. Again, I’m reiterating this whole idea of creating the space to let incredible, unforeseen things come into your life! 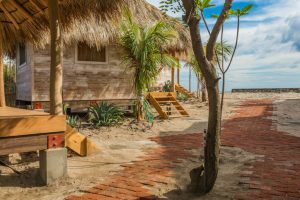 Yes, we’ve (unexpectedly) found a place that we fell so in love with, Nicaragua, bought land, started two businesses and somewhat “settled down”. We actively chose this to create the space to continue to live minimally, travel(for ourselves and to be with family and friends), have community AND strive to make a difference in that chosen community. Now, our community happens to be here in Nica, and by extension, with those of you who may resonate our musings here or on social media. Furthering this whole idea about creating space, without the necessity to support large bills and burdens common in the US, both of our businesses here have a built in function of community engagement(not charity). With this, already in the first year of living and doing business in Nicaragua, we’ve also been afforded the ability to spend 3 months out of the last 5 travelling, being with family, and taking care of loved ones. That has taken place because of the support we have had from our community here. If we were in the US, there is no way we would had the time allotment to spend that kind of quality time with family, mostly because of the social and monetary dynamics at play. We, likely like many of you, would be up to our eyeballs in time management issues and massive workloads to afford the “lifestyle” we’d like to have. I’ve already been there and done that, and it’s a giant part of the reason we turned to this life. For now, chock up another goal achieved -owning a business and being able to leave it for important matters- far quicker than we ever imagined! We had imagined that would take about 2 years to achieve. With that said, there have been some drastic changes here in Nica this year that has impacted life(for all) and business for every single person here. Economically, it hasn’t been positive for nearly anyone. For us, rather than fold, or cave in to singly chasing financial gain(so easy to do), we decided to try to pivot, and find a way to stay here and continue on if we could. It’s uncertain, but what in life isn’t? Mostly, we had to choose to work to acknowledge what IS(the difficult), and most of all, to stay OPEN to what MAY be, with faith that, we’d be ok, either way. As it turned out, that “MAY be’s” turned into two great opportunities; one managing Suyo Hotel, and the other moving our business, Live Nutritionals into a great new location, as well as allowing some expansion in the coming months. That expansion is now also coming at us in ways we hadn’t seen before. Our business has turned to local Nicaraguans in a way we never imagined and the support we’ve felt from them is really quite humbling. 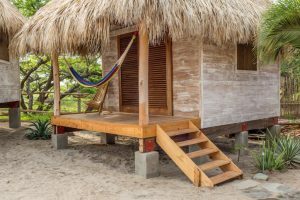 Now, it’s not as if Chantelle or I imagined ourselves running a small, boutique hotel in Nica, even though I have a ton of travel and event experience from previous businesses. With Suyo, it’s a marriage that feels really nice because we feel appreciation from the owner, Ali, for us coming in, and we are so appreciative that we have been gifted the opportunity to continue to live in such a great spot, maintain our life and community here in Nica, and engage even more with the community. Again, with the recent economics here, this opportunity represents what one of our original goals in becoming Minimalist Vagabonds was. These are well defined, stated goals for us, “We seek Win-Win situations, work hard to stay open to what is, and what may be”! In attempting to put that into practice, we’ve found the space for exciting experiences and opportunities such as these -ones that have truly added to our experience on this planet- keep turning up. In turn, we feel even more gratitude for what we’ve been gifted. It’s a nice little cycle. So, part of the point of this is really that, yes, we may have appeared to have “settled down” in some ways, but the truth is, we are still residing in and working to practice our Minimalist Vagabond lifestyle and values while doing so. Again, just staying open and leaving space(minimalism) for things to show up in our lives that will be good for our growth. If you happen to find yourself being called to do the same, please feel free to contact us, and we’ll gladly help if we can!